Screen printing is a printing technique where a framed mesh screen is used to transfer ink onto a substrate like a stencil. 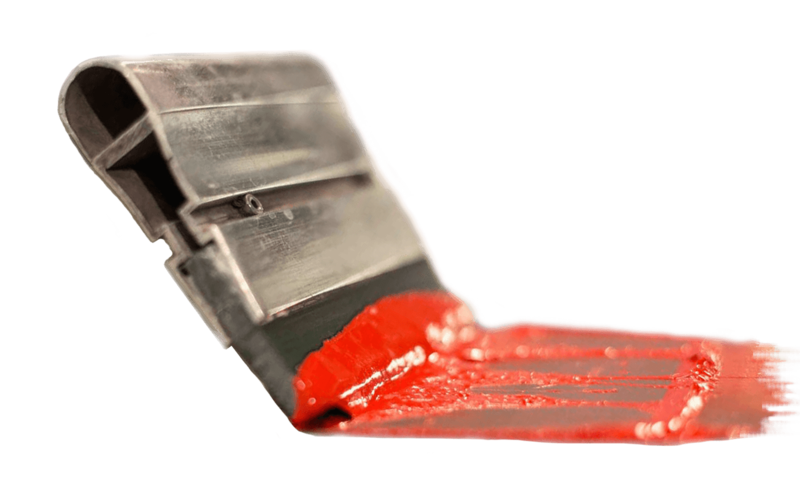 A squeegee is pulled, by hand or by machine, across the screen to fill the open mesh areas with ink. And then the garment, is placed on a conveyor dryer to heat and cure the ink for longevity of withstanding washing, drying, and normal wear. One color is printed at a time per screen, so several screens are used to produce a multicolored image or design. We only use state of the art automatic screen print presses as well as manual screen print presses to ensure quality prints and consistency on your production runs. We also have top of the line conveyor dryers to cure each print with care to ensure durability and longevity so your custom screen printed apparel looks great for the long haul. Shop Strange is ready to help bring your Screen Printing project to life!